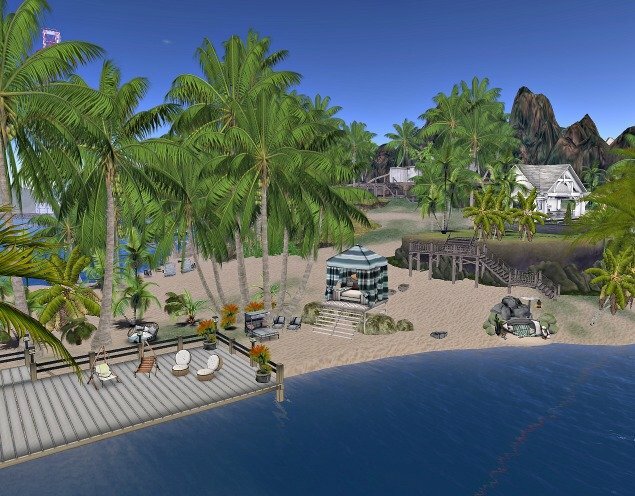 I have not actually put my land for sale yet because I wanted to discuss with the serious potential buyer first to see if the buyer wans to keep most of my objects as well as the landscaping. Realistically speaking, if you wish to purchase the land, I would need one day or two at the most if I have any RL obligations to get everything in order and give you the exclusive right to purchase the land. So let us chat together about this gem of a property. I will take back my "no copy objects" first before the sale goes through as well as my security orb. 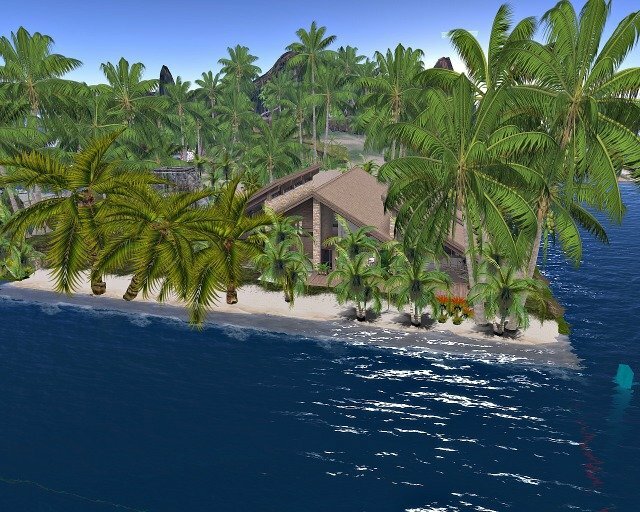 The land starts with the front of the house and goes all the way back to the beach area and the terraced private area. It is a real tropical paradise and quite peaceful. I am in-world a fair amount and my IM's go to my email. I should add that the only reason I have not put my land for sale directly is that I didn't want my objects to be returned to me in one big lump. Price of the land is now reduced to L$ 75,000 and the land is now completely available for sale. You won't find any waterfront mainland property for such. I have left some items for your enjoyment and I think I did not leave any items of mine that are no copy. If you don't wish to keep them, you can return those you do not wish to keep or get in touch with me. The objects can be returned but I would strongly recommend that you keep the terraces built on the hill in the back since the hill cannot be terraformed to be flat. 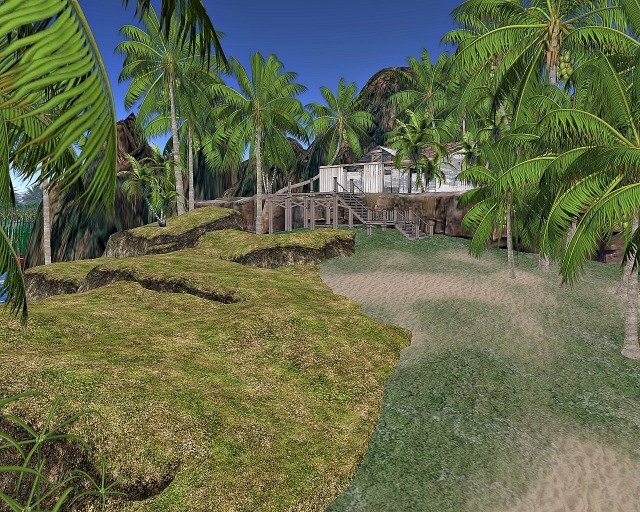 Also the house sits on top of land and beach land forms and gives you so much more rezzing area.